come and enjoy lebanese gourmet pleasures. Get enchanted by the oriental atmosphere of our restaurant and enjoy an evening full of exitement. 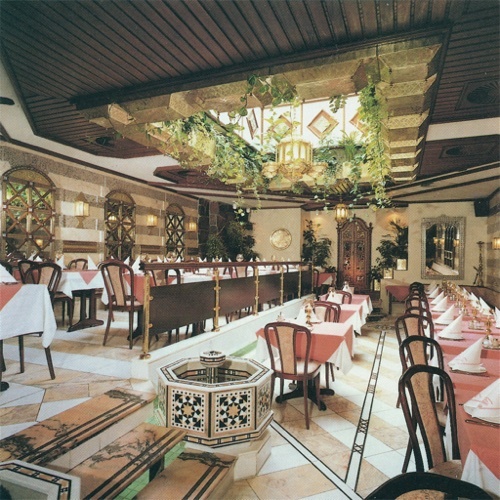 Our restaurant was built in 1991, assisted by 3 architects . the whole interior origins from lebanon and has been shipped to düsseldorf in several containers by seafreight. Our culinary artists prepare you all dishes according to original Lebanese recipes. We use exclusive fresh and healthy products. Even vegetarians / vegans will find a large selection of dishes. A feast for all senses. Exclusively in libanon restaurant we present oriental belly dancing each Friday and Saturday evening. During major trade fairs and before christmas even often on weekdays. An experience you should not miss. Please book in time. Banquet like in 1001 nights. 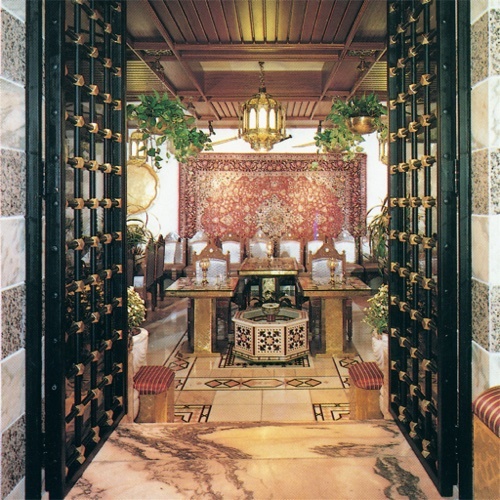 Not only for your corporate function, family celebration or wedding our room “1001 nights” opens its gates. Even on weekends and during trade fairs we can accomodate up to 60 persons. Certainly with belly dancing as well. On Google Maps you can get an first impression of our restaurant.